The Ruelco FV-1 is designed to remove the hydraulic signal to a surface controlled subsurface safety valve in the event of a fire and stop any well fluid returns due to packing leaks in the SSCSV. It can also act as a BOP and provides protection from well fluid returns through the control line during normal operating conditions. The FV-1’s operation as a fire safety and its operation as a BOP are completely independent of each other. When a fire activates the FV-1, it blocks and bleeds the hydraulic pressure going to the SSCSV, allowing it to close. After a fixed elapsed time, the FV-1 will close off any further returns from the SSCSV. When operating as a BOP, the FV-1 will allow returns from the hydraulic control line for the same elapsed time as if exposed to a fire and then it will block any further flow from the SSCSV, thus minimizing any well fluids from flowing back to the hydraulic control system. B.O.P. 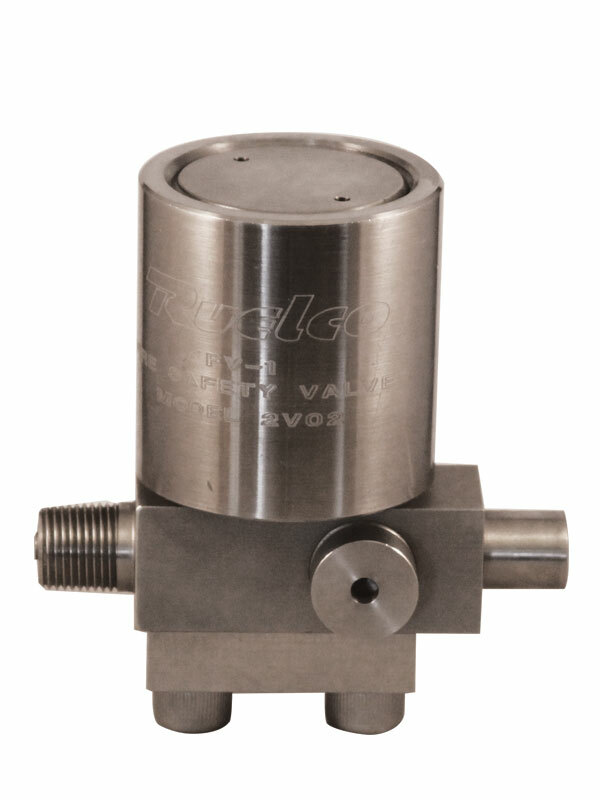 function prevents hazards due to SCSSV packing leaks under normal and fire operating conditions. Block and bleed operation closes SCSSV automatically under fire conditions. Metal to metal valve seats. B.O.P. function independent of fire activated operation. Optional fusible lock open device for B.O.P. function available. 183, 210, & 283°F (76, 99, & 139°C) eutectics for fire activation.